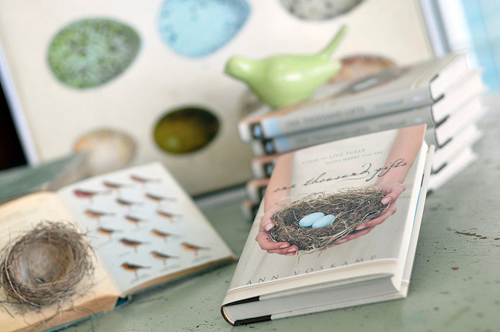 A 5 session look at how we can recognize God’s gifts of abundance “in the midst of deadlines, debt, drama, and daily routines.” Author Ann Voskamp offers a way to clear through the daily to see the joy that can be found with the faith practice of journaling. Participant books will be awaiting each person at the first session. Not my words, those of a Christian mystic. I could think of no better way of expressing the value of the study of scripture that can only happen within a community. Each one of us hears and drinks from our own experiences of scripture, but it is only when we gather and become the collected community, the cloud of witnesses to what scripture has to offer us – that we are able to truly know the richness of what we can find and come to know. And it is this very sort of exploration of scripture, one that founds us in community, that I want to invite us into as we think about what it means to name education as an element of our stewardship. I’m not simply lifting up the importance or value of choosing to teach Sunday School or lead a smaller Bible study group – although some of you are learning that, yes, I will find you and ask you or seek to figure out what it is that you might be most uniquely able to offer others in our learning together. As I noted recently to the CE committee, for our Children and Youth programs to be fully staffed each Sunday Morning (and only Sunday Morning) I need 24 to 25 leaders every week. And this doesn’t count the many folks who take on leadership in Adult Sunday School classes. I think it is critically important that we remember that it is a commitment of our time, talent, resources and energy to simply study scripture, spend time in a community of love and accountability, and to worship our God. And it is a choice that we have to engage each day because it asks that we set aside a portion of lives toward it. Perhaps I am making this sound a bit too much like work… but I believe that this constancy of our engagement leads us to the first key trait that leads to lifelong learning as a manner of our stewardship: Persistence. Who knew Jesus was a comedian too? It is not hard to imagine [Jesus’] listeners throwing their heads back and slapping their knees as they laugh at this ridiculous tale. A woman pound and pounds on the door of a rotten politician who could not care less about her plight, until finally he sticks his head out the window and shouts, “All right, already! Knock it off! I will give you whatever you want if you will just shut up!” They laugh because they know this woman. She always gets a raw deal, because she has nothing–no husband, no inheritance, no social standing. They know this judge too, the one who is only out for himself. No public servant, this one, so they guffaw at the idea of one of their own, this powerless woman, annoying the smarmy guy everyone loves to hate until, finally, he does something good in spite of himself. Irreverent maybe, but her retelling certainly vivifies and breaths a realism into the text. This widow exemplifies persistence. That it is in holding constant, coming back time and again, never giving up hope that we find faith – not always the answer we seek or the problem we face being solved, but hope and faith. And really, are we the persistent ones? The persistent widow sounds a great deal more like God in God’s quest of love being offered to all of creation. To those two readings of this parable, I’d offer up my own lens on it. Our persistence toward God matters very little when it remains exclusively between ourselves and God. When we seek to draw closer to God, stay at the task of prayer with this sort of persistence, our requests just might begin to change. In our coming to God, we must find ourselves reminded that to love God is to be drawn into loving the rest of what God has created. And this is the parabolic nature of the parable, there are simply so many ways to view their meanings and just when we feel we have a handle on it, our view changes and we see something new. Worth observed this week as I shared Chapel time with our Preschool… Since I’m new and it’s a new school year, it was easy to begin sharing the story portion of the Godly Play curriculum that we are working toward implementing for our Children’s Church. This month, I told them the Parable of the Good Shepherd, it is considered one of the foundational stories of Godly Play because it introduces what a parable is. Godly Play is called that because it introduces the Bible to young children experientially through physical materials they can work with, even before they can read, to enable them to tell the Biblical narrative. The parts of the Bible are laid out around the room, in physical space, just as you’d find them printed in your Bible. Parables are special and they have their own shelving unit, just for them. Why? 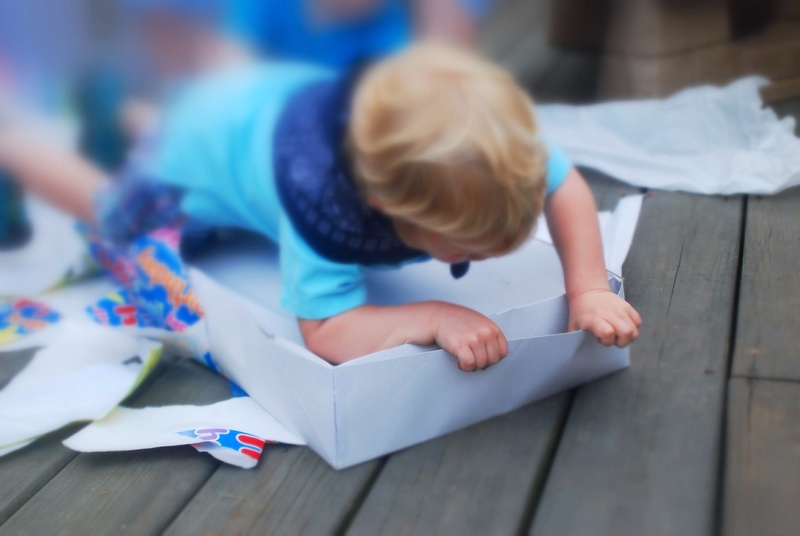 Well, humor me a minute, (you might also begin to understand why I love doing theology with children as much as I do adults) as we take a look at one of these special parable boxes. What color is it? Gold. Why would a parable be painted gold? What does it look like? A present. Why would a parable look like a present? How do you open it? It has a lid. Why does a parable have a lid? The parable of the persistent widow most certainly is all of these things. It is precious, like gold. It most certainly requires some unwrapping to see all the different nuances that are alive in this story that might, at first blush, seem so simple. And it has a lid, one that needs many times to be opened and pondered on in order to understand what is held inside. But each of those ways of considering it comes back to the persistence of us as listeners returning time and again to drink from the fountain of this text. I suggest that our next key trait toward lifelong learning is coming to our study of scripture with the eyes of our hearts open. I like a Celtic Christian phrase I encountered several years ago on a pilgrimage to the island of Iona, Scotland. That we leave the doors of our hearts ajar. It lifts up the possibility that God may have something new, different or even radical for us to consider – and that we need to leave enough space for God to enter in and shed new light on the ancient words we study. So in light of the Luke-Acts lens, when we turn our attention toward the words of our Ephesians text this morning, a dramatic point emerges about the shifts in our perceptions of power that this enlightenment of the eyes of our hearts through Christ’s ascension ought to inspire or illuminate. When we read of this return of Jesus to God in the letter to the Ephesian community tied so closely to the prayers to God that those in the community may know God through Jesus’ ministry and have the eyes of their hearts be enlightened, lifts up the concept that we must learn to see the world through this very different set of lenses that Jesus has introduced to us. How do we acquire this different vision? The Ascension matters. Christ returns to the universal being of God and in so doing becomes woven into the fabric of all that is in creation, becoming the “fullness of the one who fills everything in every way” (v. 23). Christ has come to us, bringing tidings of the country of our soul, the far country that we are born trying to remember. It takes much listening and deep curiosity to stay in the quest for the God of our creation. It is in this movement of the ascension that now we, as the disciples were in that original moment then, are invited to view all of the world through the eyes of Jesus. Imagine it as an explosion of love showering down around us, giving us a new lens through which to move through the world. It is in this different view, with the eyes of our heart opened, with the knowledge of that far country of God, that we become able to engage the world in the ways Jesus always calls us to. And that learning and living within community, of an enlightenment for the eyes of the heart being expressed through relationship, it leads us to our final key trait for lifelong learning this morning: Patience. Where I want to point us in this passage is the simple little phrase, “with the utmost patience in teaching”. Much of what we hear in this passage might very well overwhelm us, make us step back from the challenge of the teaching task. We hear all the ways that teaching is critical, but also that teaching properly is a task that may not always be received as well as we might like, that we are held to such a high standard. But how can we engage in lifelong learning if there aren’t those who step into this task, who recognize the gifts, the fruits of the harvest, that can only come to us when we step into the role of teacher. This trait of patience isn’t just for the challenge of the teaching task, it is patience for ourselves as student teachers, servant leaders. Whether attentive to it or not, each of us as we come into community, are teaching. We are demonstrating to one another the message that brings us all here – that God’s presence can be found here, that we feel led to carry the inspiration of God into our lives and the world we live in, that we are bearers of Christ’s light. And not only this, but our patience is one of the only ways we have to cope with the tensions of being in community because it is always difficult… it is challenging to uplift the value of remaining in relationship even when we may disagree – this is part of why Timothy receives this letter, a method of encouragement in his work though some are neglecting his teaching. Becoming attentive to all the ways our lives are teaching everyday requires a great deal of patience with ourselves. Patience to quiet the storm of thoughts and information that we attempt to make sense of each day, patience to sit down and try to push aside our work – meaningful though it may be – and hear the questions of the youngest in our midst. It is the patience required to recognize that God asks us to teach through our lives as long as we shall live – not always in formal ways, but that we have need to engage in the life of the whole community, to share and spread our roots as wide as we can. That in teaching there will always be learning, new insights and understandings to be sipped from the fountain of scripture and God’s grace. It is why we hear in this letter to Timothy that is not just what we have learned, it is knowing all the ones from whom you have learned it. And so the utmost patience in teaching leads us back into community… and so I have a story to share – a praise for just this kind of patience we are asked to bring in the stewardship of our lifelong learning. This is the patience that I am lifting up in this passage – that in pursuit of the sort of lifelong learning each of us is asked to live out – there is unexpected beauty and new revelations to be found if we take the time and have the patience to engage it. That God is always breathing life into God’s word. We have to let it breathe and be participants in a community that can, through allowing God’s word to breathe, breathe new life into us.